Here is a lovely missing you message for your wife. Wife is the most closest friend one could have. When you miss your wife you miss your life. 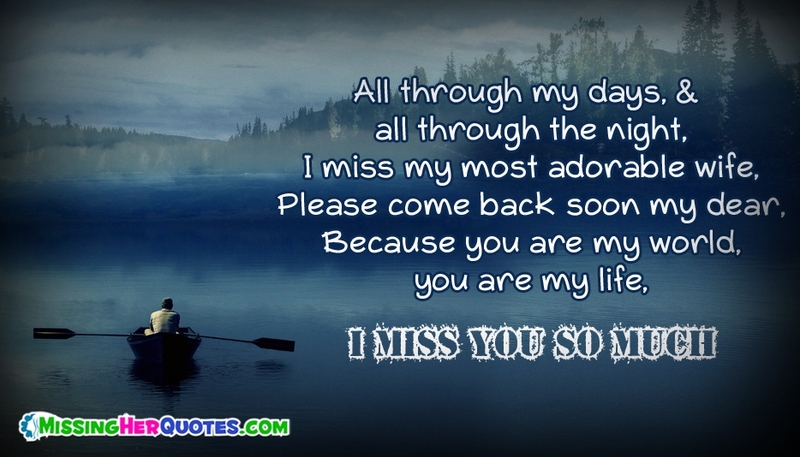 Share this feeling of missing her to your wife by sharing this picture with the message "Missing You Message for Wife - All through my Days and all through the Night, I miss my most adorable Wife, Please come back soon my Dear, Because you are my World, You are my Life, I miss you so much".